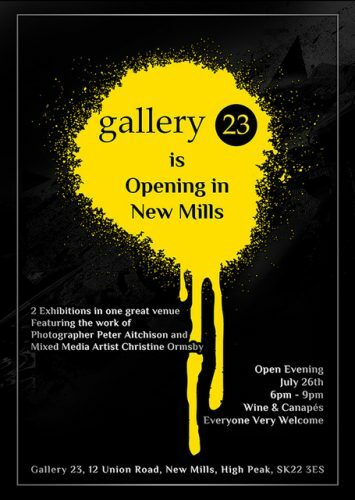 They have been running a gallery in Stalybridge for last 6 years but its time to move on to bigger and better things in New Mills. The gallery will be showing Peter’s Travel Photography work in the front gallery and Christine will have an exhibition/ studio space in another room. Work is currently underway to refurbish the interior of what was once New Mills Post Office and there will be an opening night on July 26th and everyone is invited !